A straight run of UR mat. Various levels of water flow. go to UrbanProspecting.net to build your own and learn how to get some cash. 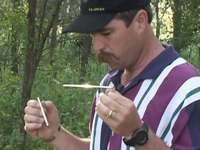 Yes, there are professional gold prospectors in Finland. Jukka Kela is one of them. Part of "My Mother's Engagement Ring". Silver Baton: Jon Alpert production with NBC about gold miner in South Dakota on strike with lung disease. Ex-miner Ken Reid shot this footage of the Mount Morgan Mine with his Super 8 movie camera before the work site closed in 1990. A short video of a modern day river dredging gold miner in the forest hills of Oregon. 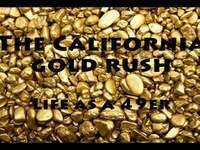 This is a video on the 1849 Gold Rush, with video footage of a miner working to find fortune! Bob finds his treasure in the San Gabriel River.